For two-and-a-half millennia these two psalms have been commented on, translated, painted, set to music, employed in worship, and adapted in literature, often being used disputatiously by Jews and Christians alike. Psalm 1 is about the Law; at the heart of Psalm 2 is the Anointed One ('Messiah'), and together they serve as a Prologue to the rest of the Psalter. They have frequently been read as one composite poem, with the Temple as one of the motifs uniting them. 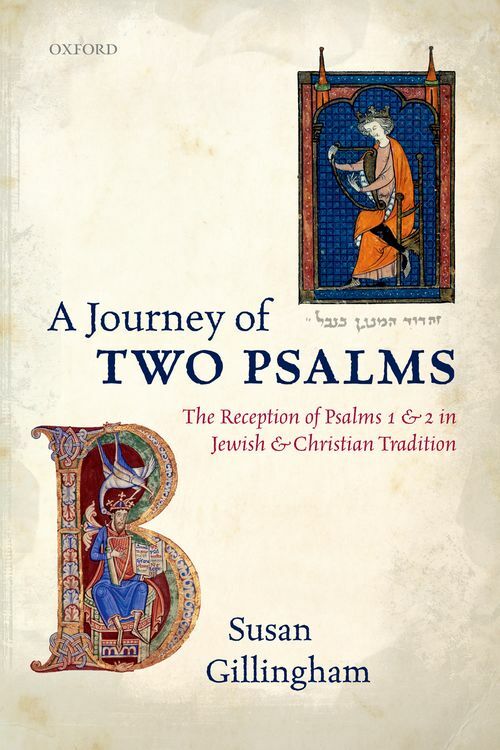 So three themes-Jewish and Christian disputes, the interrelationship of these psalms, and the Temple-are interwoven throughout this reception history analysis. The journey starts in ancient Judaism, moves on to early Christianity, then to rabbinic and medieval Judaism, and so to Christian commentators from the early Middle Ages to the Reformation. The journey pauses to look at four important modes of reception-liturgical use, visual exegesis, musical interpretation, and imitation in English literature. Thirty-eight colour plates and numerous musical and poetic examples bring the work to life. The journey continues by looking at the debates about these psalms which have occupied scholars since the Enlightenment, and ends with a chapter which surveys their reception history in the light of the three key themes. Sue Gillingham has lived and worked in Oxford for over thirty years. She is Fellow and Tutor in Theology at Worcester College, and Reader in Old Testament in the University of Oxford. She is a Licensed Lay Minister attached to Worcester Chapel and St Barnabas Church, Jericho. She has written several books on using and interpreting the Psalms and is particularly interested in reception history and psalmody, although she has written more widely on, for example, literary and theological analyses of the Psalter as a whole, surveys of psalmic studies over the last century, and historically-orientated papers, especially the importance of Jerusalem and its Temple Liturgy and the role of Levitical singers in the formation of the Psalter.